Securing your home from burglars is something that should never be neglected. Learn the importance of home security and how an intruder alarm can protect you and your loved ones. In an ideal world our home would be our safe place. We arrive from work, spend time with our loved ones and go to rest during the evening feeling secure and at ease from the troubles of the world. In reality things are different. Not even inside his or her house a homeowner is safe from threats. While we can't really prevent tornadoes, hurricanes, earthquakes or other natural disasters at least we can make our homes more secure from thieves and intruders that might be looking to cause trouble. Bumping face to face with a burglar is a very dangerous situation that can have disastrous results for homeowners and for their children. Home security should never be neglected. Many homeowners install a burglar alarm system after they have had their homes burglarized or worst; they have come face to face with an armed and dangerous intruder. This situation should be prevented at all costs. A home security system triggers an alarm when it receives a signal from one or more sensors. 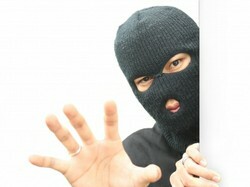 Burglar alarms can be monitored or not depending on the model and the owners discretion. Monitored burglar alarm systems can signal a monitoring company or in some cases can alert authorities directly once triggered. When signaled, a monitoring company calls the owner to confirm if it was an accident or the real deal. If the alarm is suspected to be activated by an intruder, the company can contact authorities to check things out or in some cases they have their own trained personnel that can intervene with the burglar. Monitoring has its cost. Most companies charge a fee for the service but its still better than arriving home from a vacation only to find out that your home has been vandalized and that you are missing a lot of valuable things. Monitored alarms are the best option when it comes to home security. If the family is out and sensors are triggered a call from the company to homeowners can quickly confirm if it is an accidental trigger or if someone probably is trying to enter the house while everyone is out. Systems that are not monitored vary greatly, some of them just activate a loud alarm to scare off the burglar and alert people nearby like a car alarm while others contact a family member with a text or phone message just like a monitored alarm would. The person would then need to alert authorities and inform them so they can take action if necessary. sensors. The most common are magnetic contacts. Magnetic contacts create a small circuit that when opened or closed signals the center unit that something is happening. They usually consist of two devices that are meant to be placed so that one faces the other. When someone opens a door or a window these two devices are separated and the alarm triggers. Motion sensors like the name implies detect movement. When movement is detected the signal is sent. These can be used indoors to monitor areas inside the house like the living room, or can be used outdoors to detect suspicious activity in areas like outdoor garages or the back yard. They work in the same way that motion activated lighting does. Most of them have some sort of sensitivity adjustment mechanism to help avoid false alarms from small animals like cats or birds. There are some miscellaneous sensors that can be part of the burglar alarm and are not really related to burglars like smoke sensors and heat sensors. These are very handy to have around in case the emergency that arises is that something in the house caught fire. Keypads are used to activate or deactivate the system. They are to be placed outside or inside the house depending on the system itself. Some of them are able to trigger the alarm if someone tries to break them. These are ideal for outdoor use in order to be able to activate from outside the residency when everyone is out of the house without worrying that a burglar might tamper it and shut down the alarm. Horns are also part of most security systems. A loud horn can be enough to scare away a burglar and at the same time alert neighbors that something strange is happening inside the house. The best thing about horns is that they can easily be heard by nearby police officers that can come to check things out. So what monitors all these sensors and receives input from keypads? The main console or center is what receives signals from sensors and keypads and is in charge of triggering the alarm. It is the main brain behind a home burglar alarm system. The total amount of sensors and keypads that you can have working at the same time is determined by this device. Is there a burglar alarm installed in your house? Monthly subscriptions are usually charged by companies that monitor burglar alarms but there are benefits to this service. For example, if you are on vacation the company calls authorities if the alarm is activated. The peace of mind that you get is priceless and subscriptions are not that costly. A system that is not monitored is easier to be tampered with and if there are no neighbors near by the intruder might take his or her time to figure out how to shut down the alarm. The problem that I note is that many systems want to charge you a monthly fee and for "minimum services that they enforce" . I think I like the idea of a diy system. Burglar alarm signs work well because it makes your home look challenging and dangerous to them. I think I saw some for sale on Amazon. As for individual door features there are good pad locks that are thicker and more resistant than regular ones. I have seen some that are about half an inch thick. Solid wood doors and aluminum doors are also better at least for doors that lead outside. I don't know how people can sleep at night with cheap hollow wooden doors that can be broken easily with a good kick or using a crowbar. These are better for rooms. As for doors made of a aluminum with glass surfaces I would install a glass break sensor right away in case someone breaks the glass and unlocks the door. Sadly, not many kits have them. Fire extinguishers come in a variety of sizes, they go with every décor and never go out of style. Fitting a deadlock is not hard. You just need the right tools and a sharp chisel. Here's a bit of an explanation on the installation of a tubular deadlock. Your home could be a prime target for burglars and you're not aware at all. Here are 7 things you should know to help protect your home from security threats.